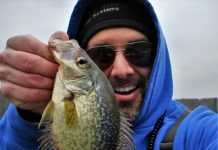 Winter crappie fishing can be a lot of fun if you know where to look. Crappie follow distinct patterns during each season. During the spring spawn they can be found in the shallows. In the summer they like to suspend in the thermocline. In the fall, when the water turns over, they go to any stable water they can find. And in the winter, they tend to move into deeper water closer to the bottom. Couple this deep water with some structure and you are looking at a prime winter crappie hideout. 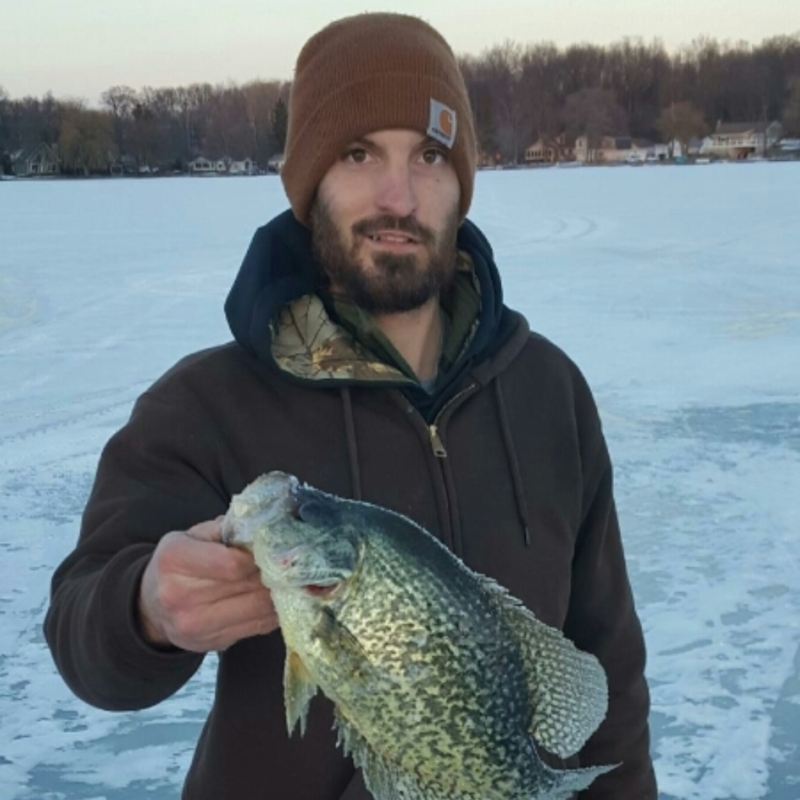 Why do crappie move deeper in the winter? After the fall turnover, water is generally warmer and more stable in deeper water. Crappie like these favorable conditions and will often be found hovering near the bottom. You’ll want to present your lure or bait within one to ten feet of the bottom to get the most action. In shallow, dishpan lakes (<25 ft) you’ll want to aim closer to one foot. 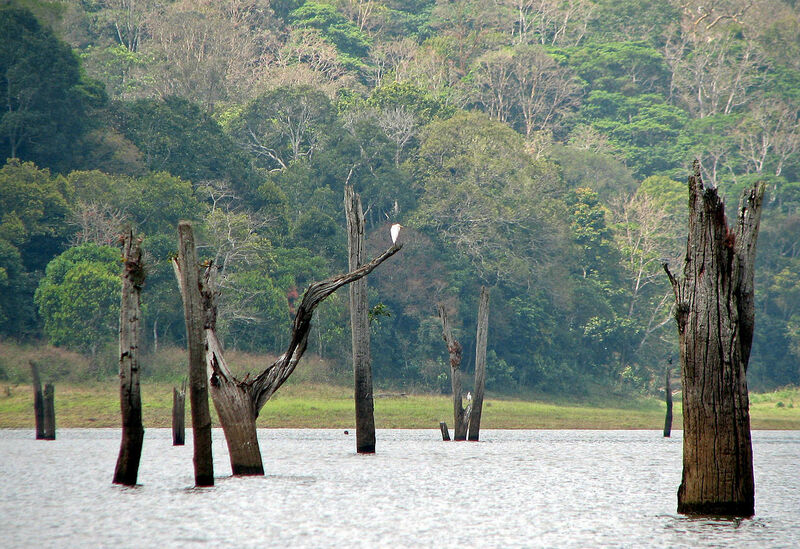 In deeper lakes (>25 ft) you’ll want to aim closer to ten feet off the bottom. 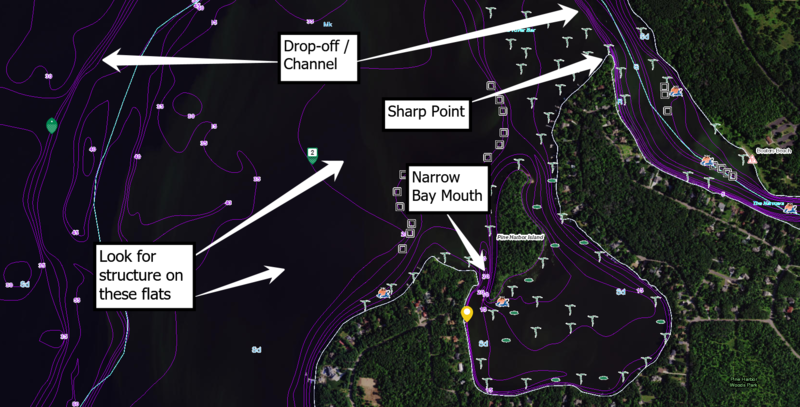 To get the most bang for your buck when winter crappie fishing, you’ll want to find a contour map of the lake you are fishing or use a fish finder. 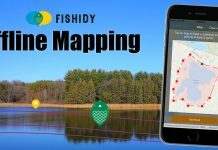 Contour maps for many lakes can be found online through state DNR sites, or apps like Fishidy, and can be extremely effective in researching a lake as well. Ultimately, contrast in depth or a funnel-like area is what you’re looking for. Bait fish are known to move out from shallow bays and coves into the main part of the lake at first ice. If the bay is pretty flat and shallow and the mouth is narrow, crappie will cut them off as they move into the main lake and have a feeding frenzy. You can see a good example of a bay mouth in the contour map of Lake Wissota below. Later in the winter, crappie will move into deeper water, but still be near bay mouths. Drop-offs and channels can also hold a lot of crappie in the winter time. In these areas, crappie can achieve a comfortable depth while also being able to hold close to structure for safety. Two good examples of this type of structure can be seen below in the Lake Wissota contour map. When you’re looking at drop-offs, a quick, steep drop-off is better than a gradual one. If you can find a flat that has structure like brush piles, or sunken trees immediately before a drop-off, you’re even better off. On a contour map like the one above, these inside bends and points will look like U or V shapes. The more distinct the bend or point, the better. You’ll want to look for a spot where the depth quickly changes. Sometimes this will be right off the point or bend and sometimes it will be 50+ yards out. When you can’t find contrast in depth, don’t be afraid to check out the flats. Just like the rest of the year, submerged trees, stumps, and brush piles are always great choices for winter crappie fishing. Plankton tends to hold to these types of structure, which attracts baitfish like shad. And where baitfish and structure are, you know there will be crappie. 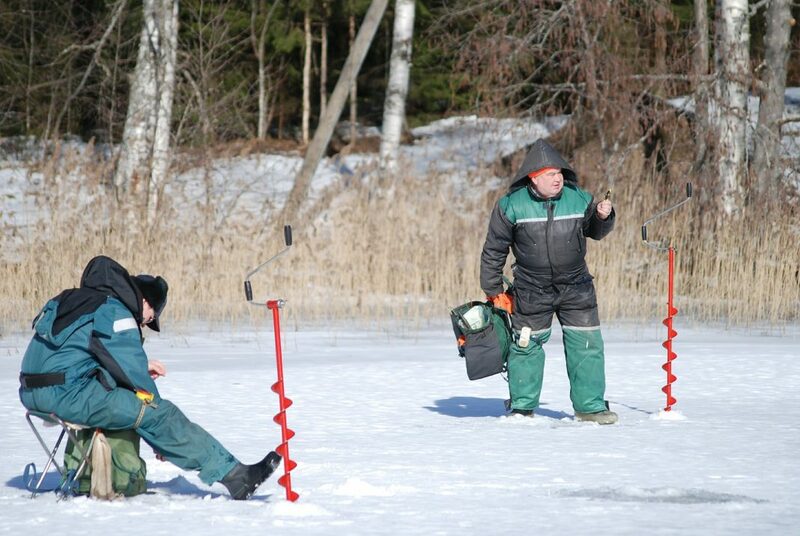 Stump-bumping is a great technique that can be used to catch crappie holding close to stumps and submerged trees. Holes are great because they provide 360 degrees of structure for crappie. What you want to look for is a narrow, steep hole. The more wide and gradual it is the less attractive it will be to a crappie. A wider hole also means you’ll have to move around more to find the perfect spot. If you can locate a narrow, steep hole on a contour map you’re in good shape to catch some slabs. Oklahoma crappie guide Barry Morrow explains here how he likes to fish holes for winter crappie. Additionally, a hole in a shallow bay can even be a better spot for winter crappie fishing. The daytime sun will heat the water in shallow bays much quicker than the main lake. These shallow bays can draw a lot of crappie, especially in the afternoon when the sun has had time to warm the water. So do some research before getting out on the lake and keep these 5 potential crappie holdouts in mind. They can be real gems for winter crappie fishing. 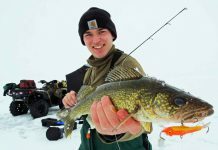 While many crappie anglers avoid the cold of ice fishing and wait for the spring spawn, the smart ones will take advantage of what the winter season has to offer. Don’t miss out! 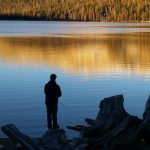 Have a favorite honey-hole for winter crappie? Let us know below!